Hello Friends, Do you want to apply for Faculty Jobs? 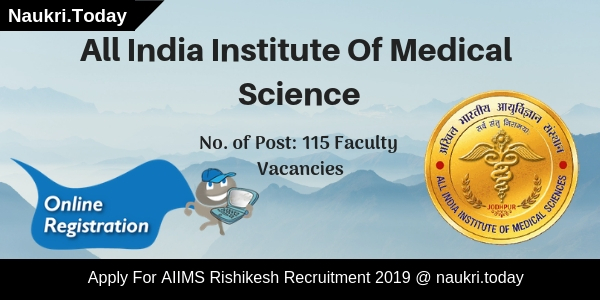 If yes, then All India Institute Of Medical Science has published a new advertisement for AIIMS Rishikesh Recruitment 2019. 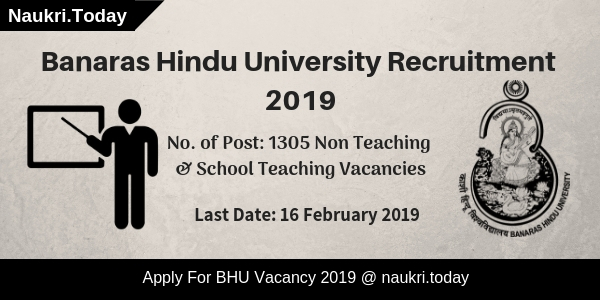 Vacancies are available for 115 faculty Jobs. Applicants who are interested can apply online from 02.02.2019. Candidate can fill the online application form for AIIMS Rishikesh Faculty Jobs 2019 till 31.03.2019. For more information relevant to Rishikesh AIIMS Vacancy, aspirants may read the given article carefully. Who is Eligibility Criteria for AIIMS Rishikesh Group A, B & C Vacancy 2017 ? What is the Required Eligibility Criteria For AIIMS Rishikesh Recruitment 2017 For Group B & C Jobs ? How I Check Pay Scale, Application Fee & Selection Criteria For AIIMS Rishikesh Vacancies 2017 ? How Much Pay Scale will paid for AIIMS Rishikesh Hospital Attendant Jobs ? Here upper age relaxation scheme is applicable for Reserved Category candidates. Applicants can check relaxation for AIIMS Rishikesh Jobs in below section. Age proof & Aadhaar Card. Reserve category document ü Experience certificate. Conclusion: All India Institute Of Medical Science (Rishikesh) has issued notification for 115 Faculty Jobs. Participants can apply online for AIIMS Rishikesh Recruitment 2019. Candidate can fill application form till 31.03.2019. Are you looking teaching vacancies in AIIMS ???? If yes, then here is good opportunity for you. All India Institutes of Medical Sciences has recently published notification for employment of 223 Faculty Jobs. AIIMS Rishikesh Recruitment 2018 advertisement issued for filling up Professor, Associate Professor and Additional Professor Vacancies. AIIMS Jobs 2018 online registration is starts from 17.03.2018. You can apply online on or before last date 30.04.2018. Rishikesh AIIMS Vacancies for 223 Professor, Additional Professor and Assistant Professor vacancies. Interested and eligible candidates can fill their online form either here or official site. AIIMS Rishikesh Job Notification also available on below section. Download it through below link. Furthermore regarding AIIMS Rishikesh Vacancies you must read our full article. In below section you find details of eligibility criteria, pay scale, application fees, selection process and others. Applicants who are going to apply for Professor & other post must ensure that they are eligible or not. AIIMS Rishikesh Job eligibility criteria is mention on below topics. It includes details of education qualification, age limit, experience and other details. Candidate should have degree of MBBS/BDS/MD/MS/MDS or equivalent qualification in respective subject. For Rishikesh AIIMS Jobs essential qualification recognized by Indian Medical Council. Furthermore you require to check AIIMS Rishikesh Teaching Vacancy notification. Medical and Non medical education criteria describe on official advertisement. There is no age criteria mention on official notification. Reservation is applicable as per govt. rules mention on Rishikesh AIIMS Recruitment advertisement. Furthermore information check official notification, which is mention below. The experience criteria is decided as on 01.06.2018. For AIIMS Teaching Jobs experience of MCI recognized medical colleges will be considered. AIIMS Rishikesh Recruitment require experience is given below. Applicants will get shortlist according to their Bio-data. After that shortlisted applicants will get call for an interview. AIIMS Rishikesh Vacancies documents list is available on bellow image. Interview will going to held at Rishikesh All India Institute of Medical Sciences. Applicants must have following documents before going to attend interview. 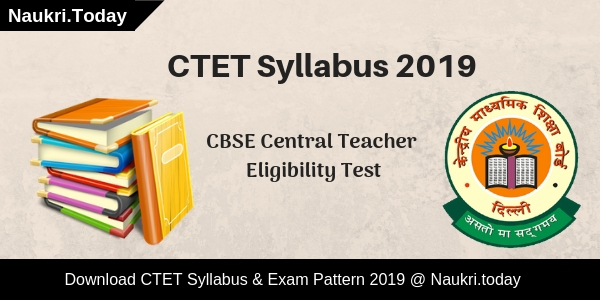 Participants who are belonging to General and OBC category need to pay Rs. 3000/- towards application fees. Rishikesh AIIMS Faculty Vacancy Fees will get pay only through online mode. SC/ST/OPH/Female candidates are not need to pay application fees. AIIMS Rishikesh Teaching Recruitment other information mention below. Here you can collect pay scale, how to apply & important links on below section. Furthermore check AIIMS Rishikesh Notification of faculty vacancies. Other allowances are mention on official advertisement. Candidates who are going to apply for AIIMS Rishikesh Vacancies through online mode. Interested and eligible candidates should have valid email id and mobile no. Before going to fill online form of AIIMS Recruitment must have scanned photograph & signature. Follow given below steps to apply online for Rishikesh AIIMS Faculty Recruitment. First of all log on to official site aiimsrishikesh.edu.in. Download AIIMS Rishikesh Faculty Recruitment Notification. Enter all required details in AIIMS Rishikesh Teaching Recruitment form. Simultaneously upload passport size photograph and signature. Pay application fees of AIIMS Rishikesh Recruitment 2018. You can also apply through direct link available under. Conclusion : AIIMS Rishikesh Recruitment 2018 for 223 Professor, Additional Professor, Assistant Professor & others. AIIMS Jobs online form available from 17.03.2018. Last date of online registration is 30.04.2018. Are you searching Jobs in AIIMS Rishikesh ? ?, if yes then here is a good news for you. All India Institute of Medical Sciences, Rishikesh has released recruitment advertisement of 305 Group A, B & C Vacancy. The process of Registration for AIIMS Rishikesh Recruitment 2017 has already started from 2nd September 2017. Interested candidates can apply Online for AIIMS Rishikesh Vacancy 2017. More information about Rishikesh AIIMS Lab attendant Vacancy & Other post you can check from below article. The applicants who want to apply for AIIMS Rishikesh Recruitment 2017 can check all the details here at naukri.today. By reading the given below article you can get full information about Important Dates, vacancy Divison & Other Details. The candidates can check the minimum education qualification for AIIMS Rishikesh Recruitment 2017 here. Dietician Post :- Candidate should have done M.Sc (Home Science Food and Nutrition)/ M.Sc (Clinical Nutrition and Dietetics)/ M.Sc (Food Science & Nutrition)/ M.Sc (Food Service Management and Dietetics) from a recognized University/ Institute for Rishikesh AIIMS Recruitment 2017. Age of the Applicants who are applying for the AIIMS Recruitment 2017 should not be more than 30 years and 45 years old. The candidates can apply Online before the last date i.e. 16th October 2017. You can download the official notification pdf form the official links provided in the end. The participants who are taking part in AIIMS Rishikesh Jobs 2017 will have to pay the application fee. Candidates who are applying for AIIMS Rishikesh Vacancy on Direct Recruitment Basis will have to pay Rs. 3,000/- for Group A & B and Rs. 2,000/- for Group C for the candidates of Unreserved and OBC Category. For applicants from SC, ST, OPH Category will have to pay Rs. 1,000/-. The applicants who want to apply for Deputation Basis have to pay Rs. 500/- as application fee. All India Medical Institute for Medical Sciences department will select the candidates through Written Test or Skill Test or Interview. The applicants who want to apply for AIIMS Rishikesh Group A, B & C Jobs have to prepare themselves according to the selection criteria for the respected posts they are applying. Then, Click on AIIMS Rishikesh Recruitment 2017 Notification. Upload your Photo and your Signature. Recheck all the details again. Conclusion :- AIIMS Rishikesh Recruitment 2017 Notification for Group A, B & C Jobs. Candidates can apply online application for Rishikesh AIIMS Jobs 2017 on or before the closing date, that is 16th October 2017. Are you Waiting for AIIMS Rishikesh Vacancy Notification 2017 ?? ?, then here is a good news for you. All India Institute of Medical Sciences, Rishikesh has published recruitment advertisement of 315 Group B & C Vacancies. Applicants who are interested to fill form for AIIMS Rishikesh Recruitment 2017 should check Required Eligibility Criteria & Other Details from here. You can submit online application form for AIIMS Staff Nurse Jobs 2017 on or before the last date 06th September 2017 (extended till 21.09.2017). Rishikesh AIIMS is inviting online application for recruiting candidates on 315 Group B & C Staff Nurse & Other Vacancies. Online registration for AIIMS Rishikesh Staff Nurse Vacancy has been started from 22.07.2017. Applicants who are searching Jobs In AIIMS have a great chance to fill online form. To get more information about AIIMS Rishikesh Group B & C Notification, Pay Scale & Other you can check from below sections. Closing date for submit AIIMS Rishikesh Jobs Online form : 06.09.2017 (extended till 21.09.2017). For Post No. 01 & 05 : Candidates must have done Graduation Degree in Any stream from any recognized University. Applicants must have proficiency in Computer for Office Assistant Jobs. For Post No. 02 : B.Sc. Nursing passed Applicants with having 03 years experience as Staff Nurse is eligible to fill form for AIIMS Rishikesh Staff Nurse Recruitment 2017. Post No. 03 : Applicants should have completed B.Sc. in Medical lab Technology or equivalent with 05 years experience in respective field. For Post no. 04 : Matriculation passed Candidates with completion of Hospital Service Course. Age of the candidates for Rishikesh AIIMS Vacancy 2017 is describe below. Relaxation in age is applicable as per Department Rules & regulation. Office Assistant : Age must be in between 20 to 20 years. Staff Nurse : Candidates age for AIIMS Rishikesh Staff Nurse Jobs should be in between 21 years to 35 years. Technical Assistant : Minimum Age should be 25 years & Maximum age musty be 35 years. Hospital Attendant : 18 years to 30 years. Store Keeper : Maximum age must be applicable up to 30 years. Office Assistant & Technical Asst : Selected candidates will paid Rs. 9,300/- to 34,800/- with GP Rs. 4,200/-. Staff Nurse : Rs. 9,300/- to 34,800/- with grade pay Rs. 4,800/- will paid for AIIMS Rishikesh Staff Nurse Recruitment 2017. Hospital Attendant : Candidates will paid Rs. 5,200/- to 20,200/- + GP Rs. 1,800/-. Store Keeper (Clerk) : Rs. 5,200/- to 20,200/- with GP Rs. 1,900/- will paid for Rishikesh AIIMS Jobs. Selection of the candidates for AIIMS Recruitment 2017 will based on Written Examination, Skill Test & Interview. More information about Selection Criteria you can check from official notification, which is mention below. First of all candidates log on to the official website www.aiimsrishikesh.edu.in. Now Click on official Jobs Notification. Then read all the information from AIIMS Notification properly. Click on Applying online form. Deposit application fee through online mode. Conclusion :- AIIMS Rishikesh Recruitment 2017 For 315 Group B & C Vacancies. Candidates can fill online form for Rishikesh AIIMS Recruitment 2017 on or before the closing date, that is 06.09.2017 (extended till 21.09.2017).